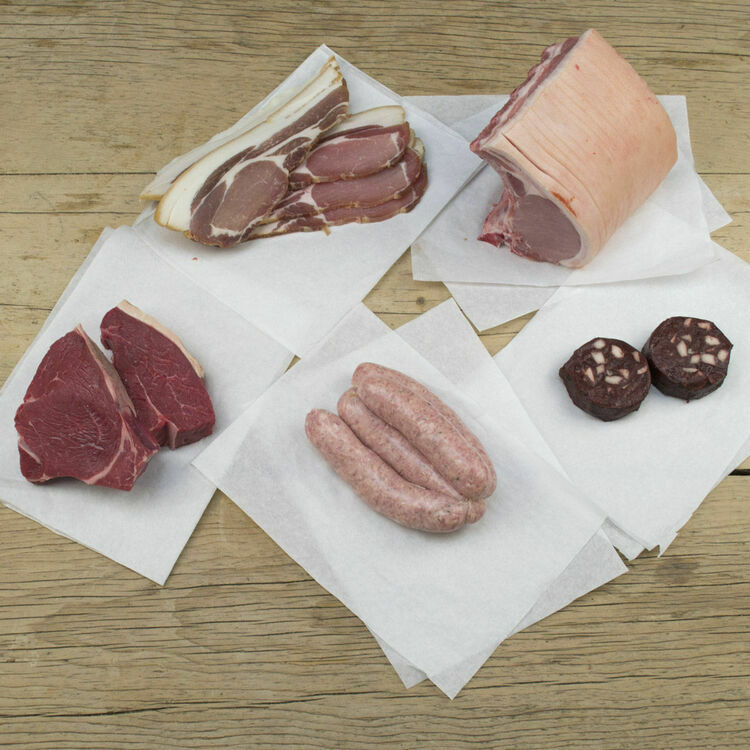 The weekend is a time to unwind, enjoy life and indulge a little, and our weekend meat box is the perfect way to do that. 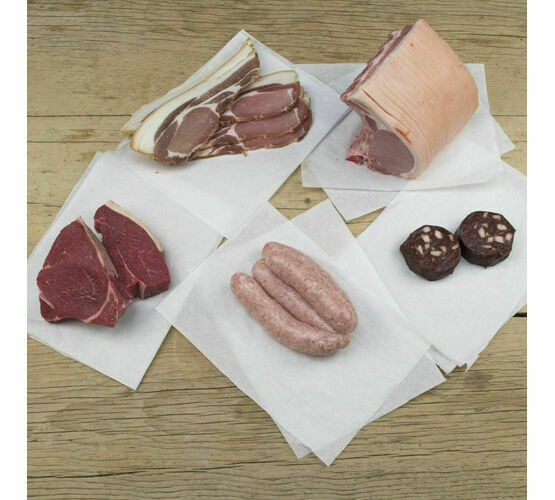 Containing meat for three enjoyable meals, this meat box will give you: a fantastic cooked breakfast, a quality steak dinner and a traditional Sunday roast. 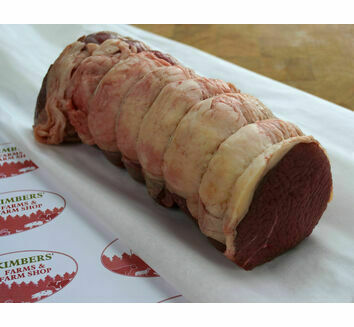 6 x rashers of back bacon - sweet Gloucester Old Spot bacon, free range and ethically reared. 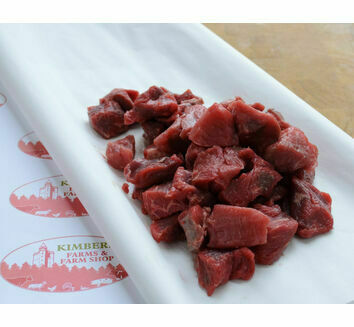 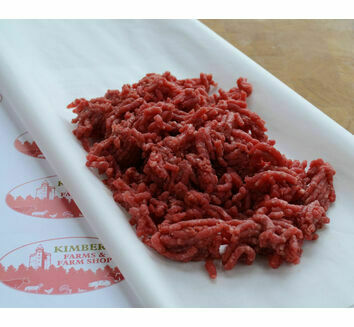 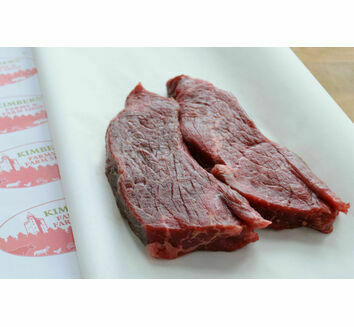 2 x slices of black pudding - a classic black pudding, homemade at Kimbers. 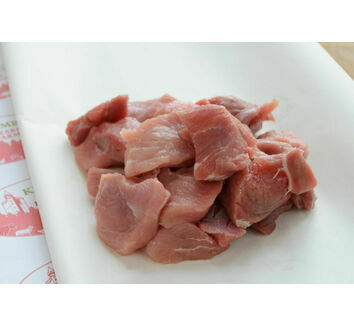 6 x pork sausages - Taste of the West 2014 silver award-winning Gloucester Old Spot sausages. 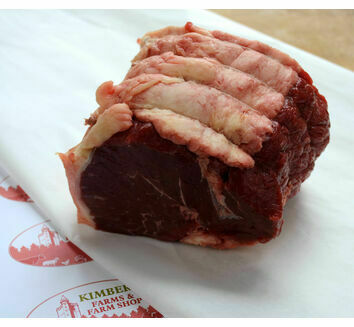 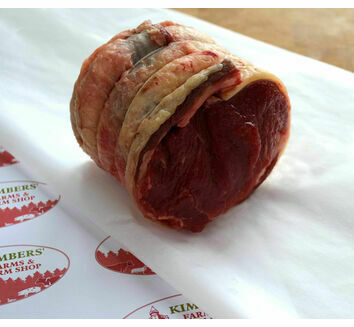 2 x Aberdeen Angus rump steaks - prime rump steaks, 21 day naturally dry aged, with beautiful marbling. 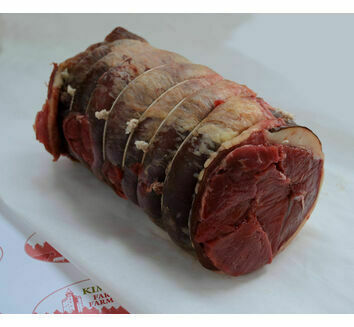 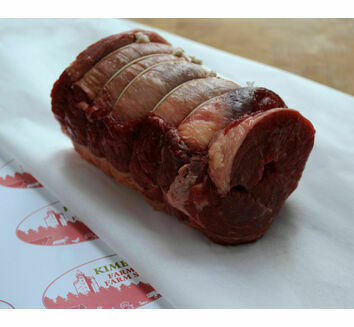 1kg beef or pork roasting joint - a delicious joint for Sunday lunch. 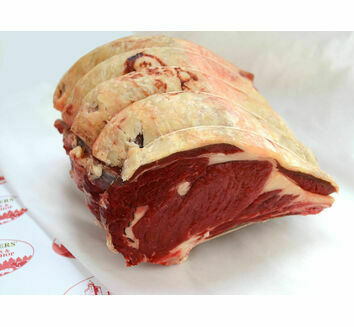 Please let us know which joint you would like when ordering.